Once just a little guy doing a big guy’s job, Volkswagen’s next-gen Tiguan compact crossover is slated to grow up a bit for 2015. Hints that this 5-seat family-oriented mini-ute, along with its Golf VII counterpart, will debut riding on VW’s touted MQB platform ought to result in a few added inches to both overall length and wheelbase. Look, therefore, for some added passenger room, especially in the rear seats, as well as a few more cubic feet of cargo area added to the present 56.1 cubic feet (with the rear seats folded) that are offered in last-gen iterations. Furthermore, the upcoming Tiguan offerings are touted to be lighter and therefore a bit more fuel miserly for this upcoming year. As of the moment, VW has no official word on trim shuffling, thus the current lineup should remain the base Tiguan S, the up-featured SE, the penultimate SEL and the top-shelf R-Line. All trims are expected to return bearing the standard front-wheel-drive configuration, with VW’s 4Motion-monikered full-time all-wheel drive (AWD) again remaining an available option for SE and higher trims. A goodly number of media types expect redesigned front and rear fascia styling for 2015 Tiguan variants, as well as tweaked headlights and taillights and larger wheel wells. And those spiffy LED daytime running lights that currently come standard only on the R-Line are whispered to henceforth be delivered aboard the entire Tiguan spectrum. No confirmation has come down from VW headquarters, but there’s a distinct possibility that some tweaks to standard and optional features are in line for the Gen-2 Tiguan iterations. Such upgrades ought, therefore, to bolster such current trim-specific bling as cloth, leatherette or genuine leather upholstery, a rear-view camera, heated power-adjustable front seats, reclining and sliding second-row seats, full power accessories, cruise control and telescoping tilt-wheel steering. Standard manual air conditioning in the S and SE trims, meantime, is replaced by dual-zone climate control in the SEL and R-Line variants, while Bluetooth hands-free calling remains standard throughout the lineup. For the SE and higher offerings, look for VW’s Car-Net touchscreen-interfaced telematics to return in 2015, while lower trims should again pack an MP3-capable single-CD player, with 8 speakers. Moving to the SEL and the flagship R-Line, look for such standard entertainment add-ons as 9 Fender premium speakers, satellite radio and a memory-card slot. Barring significant changes for 2015, among the major options packages for the 2015 SE and SEL trims is the popular Appearance Package with upgraded 18-inch wheels (and these might be further upsized with the anticipated larger wheel wells), as well as roof rails, added exterior chrome and power-reclining front seats. Said Appearance Package, by the way, is expected to again delineate a separate sub-trim for both midlevel Tiguan variants. Speaking of power, it seems that no upgrades to the current 2.0-liter turbocharged inline 4-cylinder (I4) engine that comes standard in all current Tiguan iterations is contemplated. Mated with either the 6-speed manual transmission that comes standard in the FWD S, or the 6-speed shiftable automatic that’s delivered with all other trims—4Motion or otherwise—the turbo I4 is once again slated to deliver 200 hp and 207 lb-ft of torque. 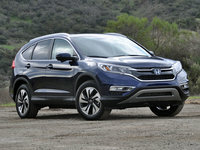 Towing with the available hitch and standard trailer wiring ought once again to top out at 2,200 pounds, while fuel estimates in stick-shift-equipped S trims should remain 18 mpg city/26 highway. At present, estimated efficiency ratings for those Tiguan 4Motion trims toting the automatic transmission are estimated at 20/26, with FWD automatic-packing trims once again estimated at 21/26. Should those thus-far ephemeral weight savings come to pass, look for at least a marginal improvement in these current efficiency figures. Finally, the 2015 Tiguan line should return bearing such standard safety features as 4-wheel antilock brakes, traction and stability control, front and rear head airbags, and front side-mounted airbags. Those once R-Line-dedicated LED running lights are expected to be standard in all trims for the coming Tiguan generation, with turn-signal-integrated mirrors, a post-collision safety system and a remote antitheft alarm also anticipated to be reprised lineup-wide. Additionally, look for the high-end R-Line to return adorned with standard adaptive bi-xenon headlights. What's your take on the 2015 Volkswagen Tiguan? JDB001 They are missing the mark again -- in addition - it needs: TDI @ 160 or 210 HP with 7 spd DSG plus AWD option in SEL and R. The TDI needs to push minimum 35 - 38 mpg. 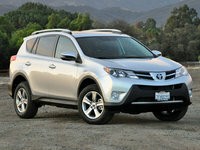 It is not on the "must have" list with the 2L Turbo coming back that only returns 25 - 26 mpg in a CUV package. I know its easier for VW and USA dealers, but it is supposed to be about "the customers." 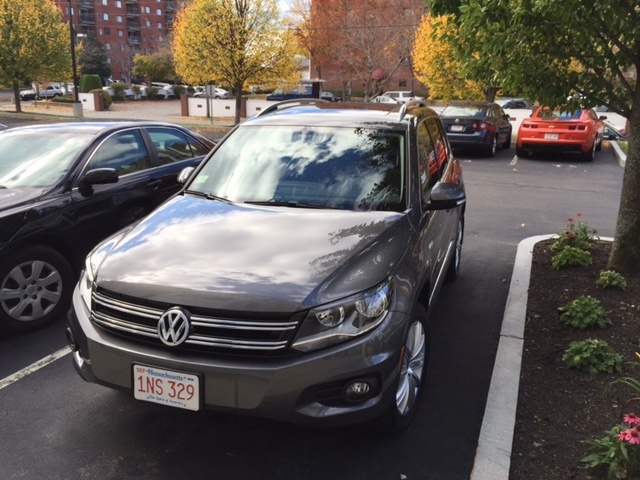 CMKC We purchased a 2015 Tiguan and love it. I am 6'4" tall and can fit in the back seat with the front seat set for my driving position. The last car I had that could do that was a Lincoln Town Car. My Grand Marquis couldn't do it, even our 2004 Explorer couldn't accomodate me in the back seat with the front seat set for my driving position. Several of my friends are my size, so this is extremely useful whne hauling them around. This is my 4th VW in as many decades. I keep them for 10 years and put a minimum of 300,000 miles on them. This one will be no different. Compared to our Explorer, this one gets incredible mileage. We have the 4Motion system, and on several highway trips, albeit on mostly flat terrain, I got 31 mpg. The best our Explorer could do in the same situation was 14.5mpg. I couldn't be happier with the Tiguan. 4sodapops Purchased a 2013 VW Tiguan. Love it! Had a great experience buying a pre owned car at Peak Kia. My salesperson was Grant. He responded to my request for information online and was courteous and consistent. Other dealer requests resulted in being bombarded by emails, texts and phone calls by multiple people from the same dealership who didn't know you already were in a conversation with one of their sales people. With Peak Kia I had a single point of contact and he was the nicest salesperson I have ever dealt with - no exaggeration. I highly recommend visiting peak Kia for your next automobile purchase and definitely ask for Grant. He's the best!! 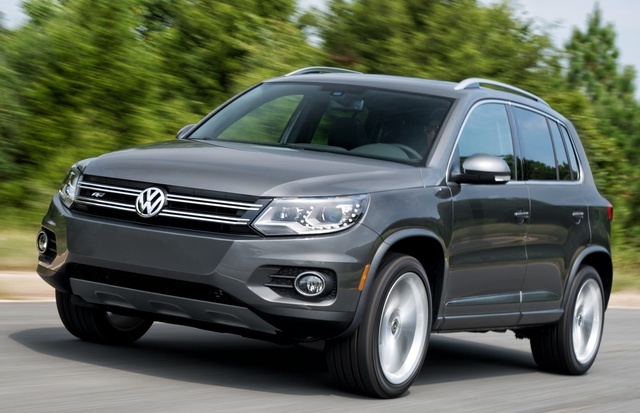 Have you driven a 2015 Volkswagen Tiguan?